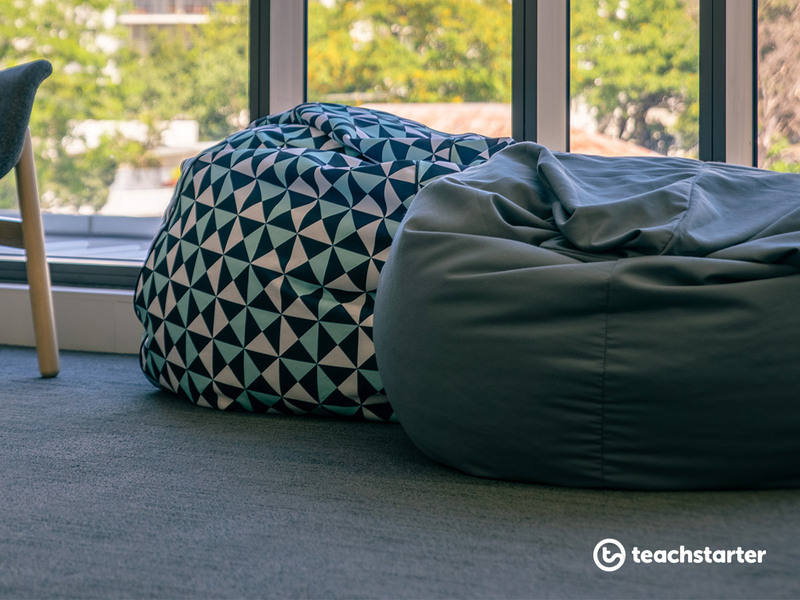 The school staffroom… a sacred space where teachers go to have a break away from the craziness that is the reality of teaching, right? Sounds good, but let’s face it, most staffrooms are bland, non-welcoming, sterile environments that teachers go to for the morning messages, to make a cuppa and that’s about it. If I remember back to some of the staffrooms I have sat in over the years, there are a few similarities; grey tables with a pile of newspapers, some very uncomfortable old chairs, wooden pigeon holes, a small kitchenette with the token sign asking people nicely to clean up after themselves, and a bland old notice board that isn’t very enticing. As teachers, we spend so much time (and money) creating classroom environments that are inviting for our students, so it’s sad that the school staffroom is often an afterthought! We know the benefits of creating a warm and welcoming environment in the classroom, the same thing applies to the school staffroom. 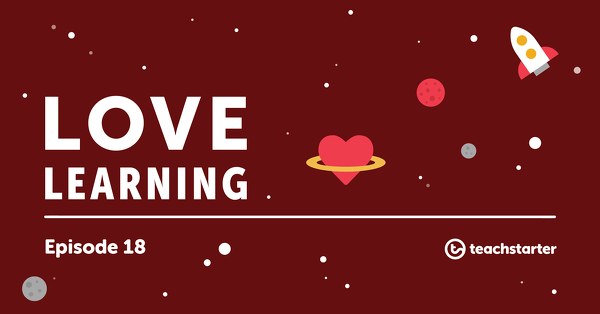 By creating a sanctuary that teachers ‘want’ to go to is an essential element to foster a supportive community of educators! This blog will outline 10 cheap and cheerful ways that a school can update the staffroom. Whether you are a leader, or just feel like doing something nice for yourself and your colleagues, these ideas are the perfect way to create an inviting staffroom. These ideas are all cheap and involve either some extra time to organise a call out for donations, downloading some of our FREE printable resources or purchasing some items cheaply. You might even be able to seek a donation from your school’s P&C committee. You won’t need much at all! 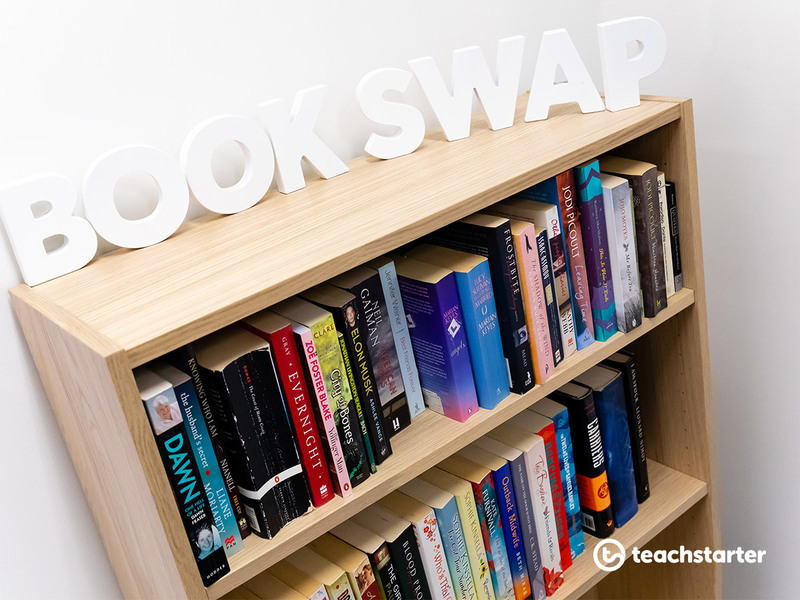 Creating a book swap area for your classroom is actually a lot easier than it sounds. Put a note out for staff to bring in any old novels they don’t want any more. These BOOK SWAP letters were purchased from Kmart for $2.50 each and look amazing on this simple set of shelves. You can either purchase some shelves cheaply or ask around for anyone that has a book shelf in their classroom they are not using. 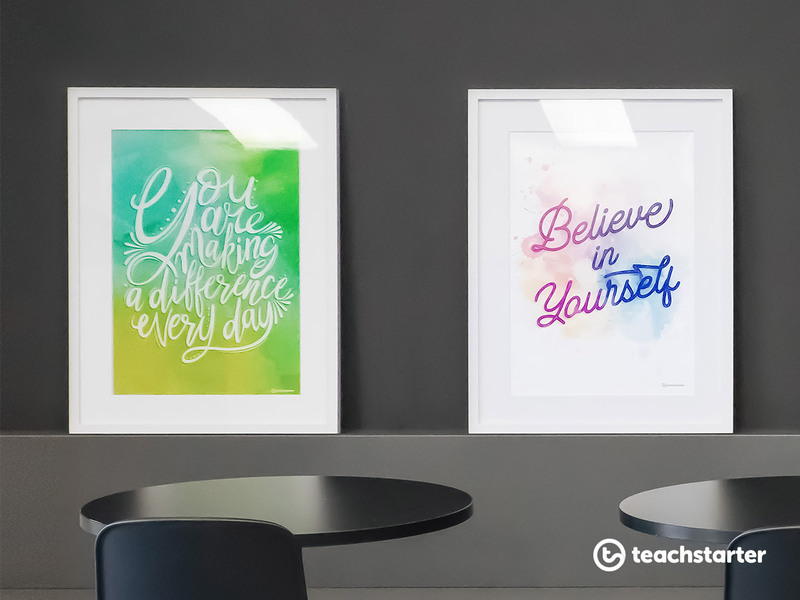 Add a bit of colour and positivity to your staffroom by printing and framing some inspirational quotes. 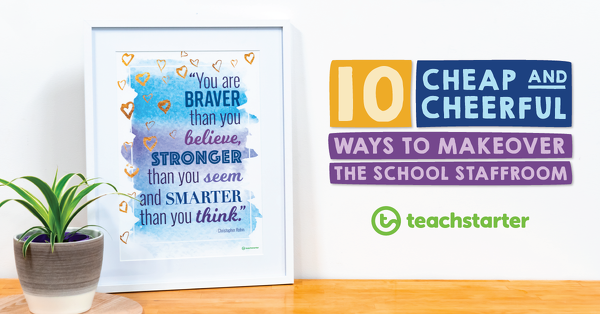 Our collection of printable inspirational posters are all free downloads, with these four beautifully illustrated posters designed by one of our wonderful designers – Karen specifically for the staff room. 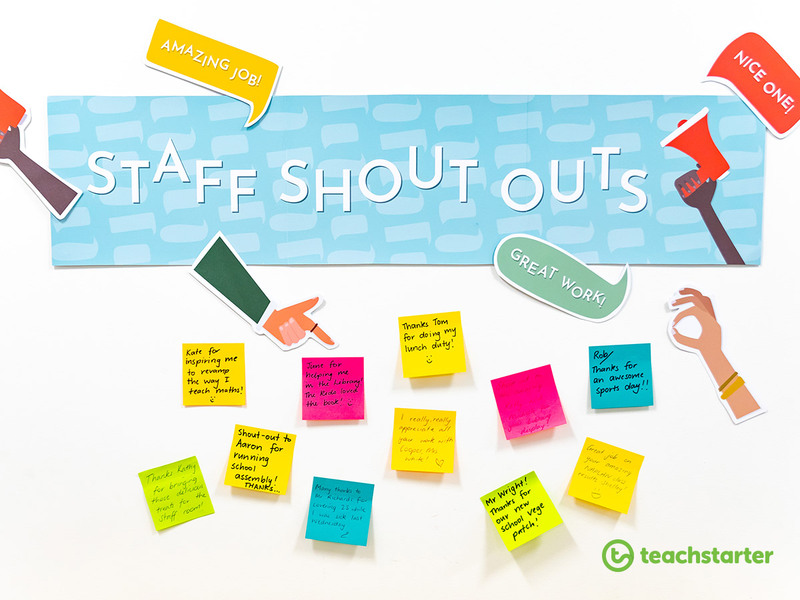 Staff shout-out boards have been gaining popularity and it’s no wonder why. A staff shout-out board is a great way to encourage members of the school community to write letters of thanks or simple positive comments about others in the community. Encourage students and families to write notes of thanks to the teaching community as well! We have created this gorgeous display and made it a [FREE] download, check out our Staff Shout Outs Display Board. Use the shout-out templates provided or just leave some sticky notes and a pen for people to write their words of encouragement or praise to stick on the display. Simple, yet effective! Bean bags have an undeniable way of creating a sense of comfort. So why not buy a few for the staff room. Bringing a little greenery into the staffroom provides a host of wellness benefits that are hard to argue with. Much research has shown the link between the presence of indoor plants and increased productivity and reduced stress. A few little plants in the centre of the tables in the staffroom is all that is needed. Not sure what plants are safe? 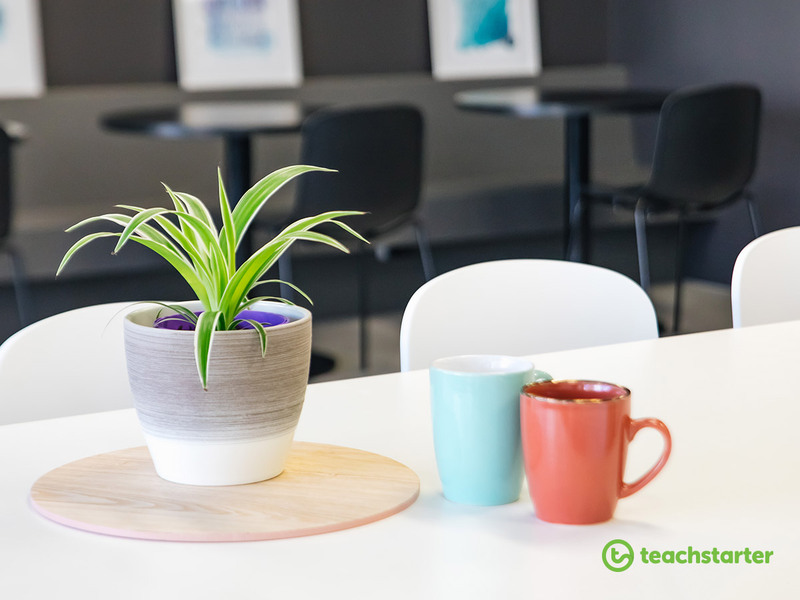 Read our blog, The Best and The Worst Classroom Plants for a list of plants that would be safe to have in the school staffroom. 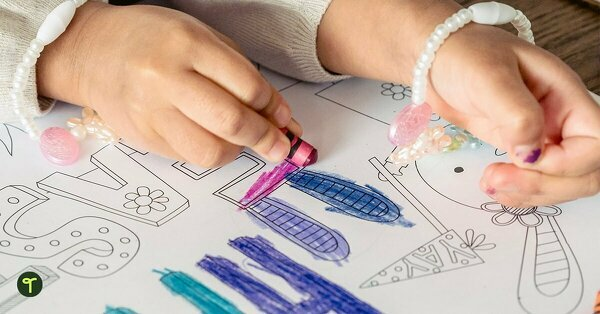 We talk about the benefits of mindfulness colouring in the classroom in our blog, Creating Classroom Calm with Printable Mindfulness Colouring Sheets, again, the same applies to the staffroom. 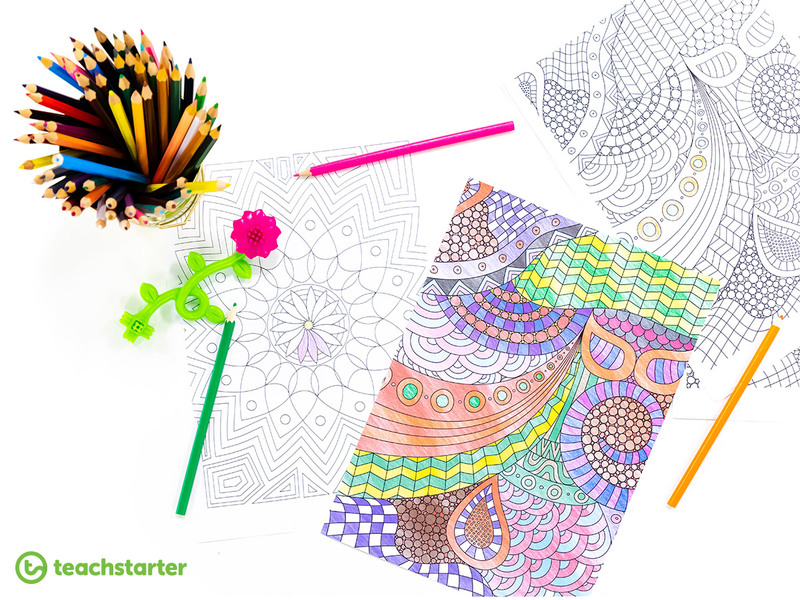 Print out a bunch of our printable mindfulness colouring sheets and pop them in the middle of the tables in the staffroom with a jar of pencils. Once visible people are more likely to sit down and start colouring and reap the benefits of mindfulness colouring during their break. Create a self-check-in station for teachers in the staffroom to encourage them to look after themselves. We created these gorgeous resources for World Mental Health day and they are perfect to set up in a school staffroom. 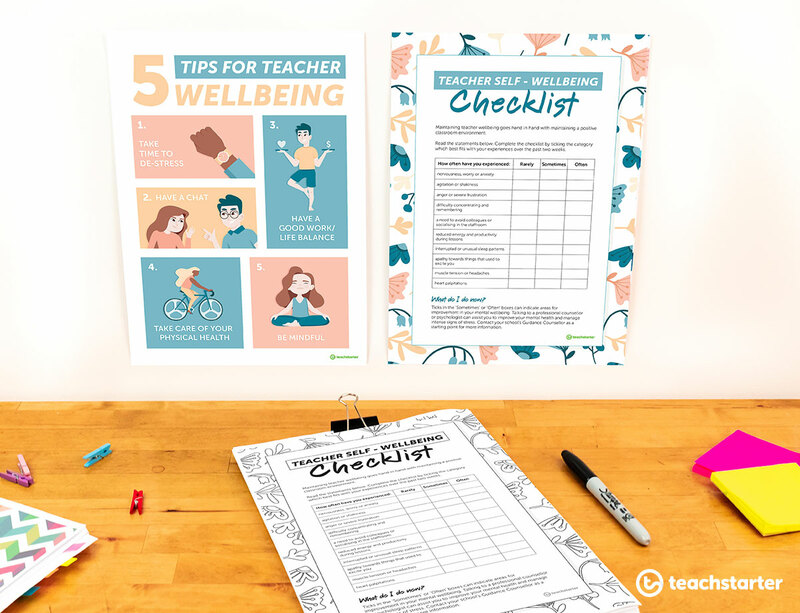 The Tips for Teacher Wellbeing poster and Teacher Self-well-being Checklist template are [FREE] resource downloads and the perfect addition to your school staffroom. Creating an environment where teachers share their ideas and things that ‘worked’ is only going to boost morale in the staffroom. Simply purchase a pinboard and create a ‘Sharing’ board. 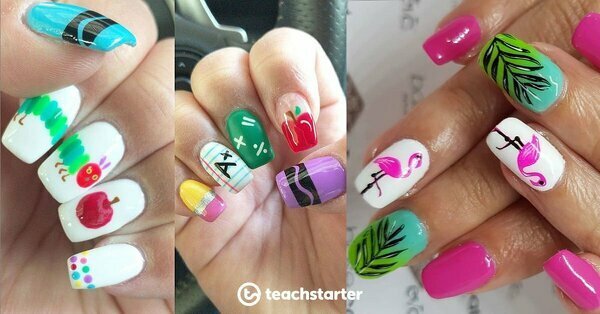 Teachers can write down successes or pin-up activities that worked for them in the classroom! I know what you’re all thinking – we don’t have time to complete a whole puzzle during a lunch break or before and after school. Why not get a large puzzle that is left on a table in the staffroom for people to add to throughout the term. Sometimes, a five-minute break away from thinking about the classroom is just what the doctor ordered. 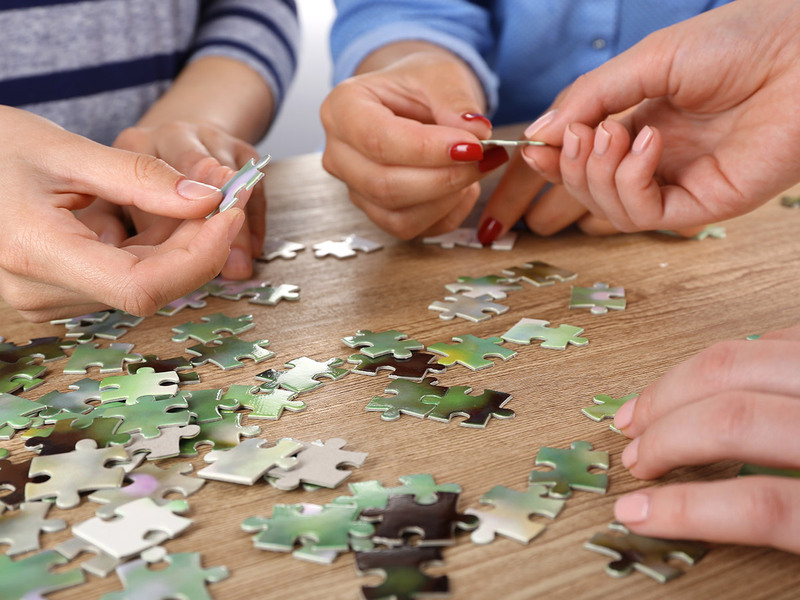 The aim of this whole blog is for teachers to want to go to the staff room (because it feels so homely) grab a cuppa tea and sit down for five or ten minutes at the puzzle to see if they can help their colleagues complete the puzzle. Celebrating staff birthdays is a very easy way to bring everyone together. Download and print our [FREE] Staff Birthday Display for Staffroom. 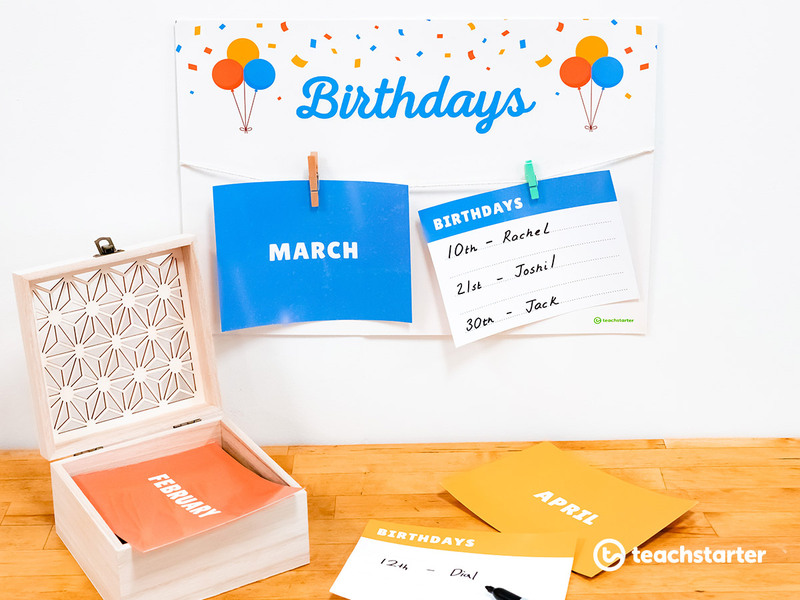 Create a fun birthday display, that doesn’t take up too much room to brighten up your staffroom today! Has this blog inspired you to update your school staffroom?